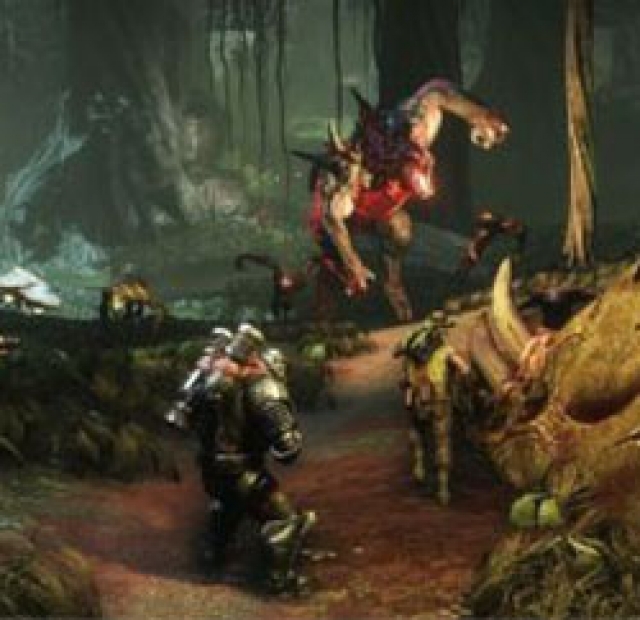 Turtle Rock on Friday confirmed that the closed alpha testing of the upcoming title Evolve will be available only for players from the United States, but soon after on the official website appeared open registration for players from all corners of the world. Players interested in alpha testing can apply here, where it is necessary to fill in a questionnaire and development team to provide background information on what kind of player you are and what kind of hardware you have, and then must wait for an invitation to be selected to get the e-mail. For accessing the questionnaire you are required to enter the password happyhunting. Details of the potential second round of alpha testing and eventual beta testing are still unknown, but we can expect to get them very quickly. Evolve is launching on October 21st this year, and will be available for PC, PS4 and Xbox One.